One of Italy’s largest regions, and with more UNESCO World Heritage sites than any other in Italy, Lombardy’s varied landscape encompasses lakes, rugged mountains, huge swathes of vineyards and the great flat expanses of the Po Valley. It is also Italy’s richest region, thanks to its position at the geographical crossroads of Europe. Yet despite Lombardy's commercial outlook, it is still home to towns and cities with a distinctive medieval core and a magnificent legacy of world class art and architecture. Literary connections include Alessandro Manzoni (author of I Promessi Sposi) who, as a child, lived in Lecco on Lake Como. Infinitely alluring and utterly romantic, the Italian lakes are one of the reasons why Lombardy finds its way on to the holiday map of so many holidaymakers. Lake Como and Lake Garda steal the show when it comes to visitor numbers but Lake Maggiore and Lake Orta are equally scenic and, being quieter, perhaps even more enchanting. In terms of towns and cities, take time to explore Milan but be sure not to miss the ‘art cities’ of Bergamo, Cremona and Mantua. Compared with the rest of Italy, Lombardy can get rather overlooked when it comes to food and wine, but perhaps unfairly so. As elsewhere, each province of the region has its own culinary traditions and you may be surprised to find donkey on the menu in Mantua and frogs in Lodi. Milan is home to the classic Italian Christmas cake of panettone, but also, of course, famous for its risotto alla Milanese and ossobucco. 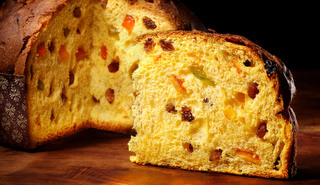 Rice and polenta is common to the whole region, not least the province of Mantua. Dine out in a traditional local restaurant in Mantua and the menu is likely to include polenta accompanied by sausage, pumpkin tortelli and risotto alla pilota (made with minced pork); visit Cremona and the local speciality is torrone (nougat). Local cheeses in Lombardy include mascarpone, gorgonzola, stracchino and, from the province of Bergamo, taleggio. Despite Lombardy’s status as the country’s industrial powerhouse, there are wine trails and several pockets of beautiful untouched wine country. 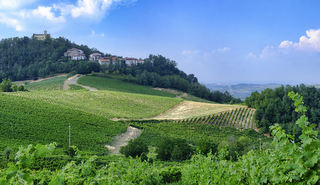 The Oltrepò Pavese, in the province of Pavia, is Lombardy’s largest wine-producing area and little known to tourists. Local wines include the red Barbera and Sangue di Giuda and, very specific to the Oltrepò, the white Riesling Italico. Other wines worthy of mention include Lambrusco Mantova and the sparkling Franciacorta from the province of Brescia. 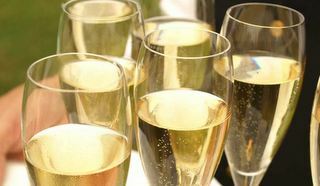 This sparkling wine is increasingly receiving a very positive reception around the world, made as it is using the traditional Champagne method, with the second fermentation taking place in the bottle. It is only released at least two years after the harvest. Do your homework before you go to Milan to get the most out of Italy’s capital of fashion and finance. Stunning architecture, elegant galleried shopping malls and breath-taking window displays all add to its charm but there is also the opera, art galleries and an extraordinary number of Michelin-starred restaurants to throw into the mix. Read more about Milan in our city guides. 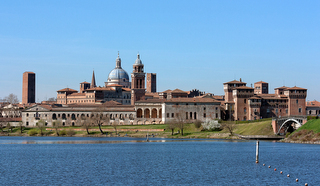 Mantua is one of Lombardy’s great unsung heroes, relatively undiscovered by tourists despite its UNESCO world heritage status and Italian Capital of Culture 2016 designation. The city is utterly charming, with a skyline of cupolas and bell towers that are an extraordinary legacy of the powerful Gonzaga dynasty. Be among the first to discover the sleepy town of Cremona, best known for its violin production, and around an hour south east of Milan. Aside from the violin making, there are Gothic palazzi, a Romanesque cathedral and the 268-year old Teatro Ponchielli which still puts on international performances on one of Italy’s largest stages. Pavia, also to the south of Milan, is another northern Italian town where you will hear little other than Italian spoken. Despite its former status as northern Italy’s most important town, it remains refreshingly free from tourists. 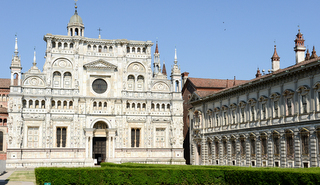 Take time to visit its churches, Basilica di San Michele, Cathedral and the Certosa of Pavia. 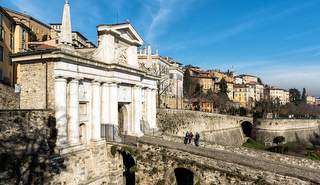 Heading north from Milan, Bergamo has retained the charm of a medieval village and has several interesting buildings, palaces and artistic treasures. For outdoor enthusiasts, it provides access to some wonderful walking in the Seriana Valley and to the Serio Waterfall, one of the highest in Europe. 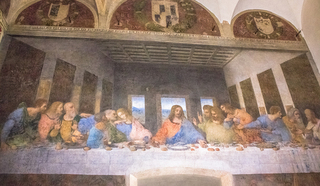 Book well in advance for tickets to see Leonardo da Vinci’s painting of The Last Supper in Milan. Still in Milan, why not take in an opera at the magnificent Teatro alla Scala? Get full details here. 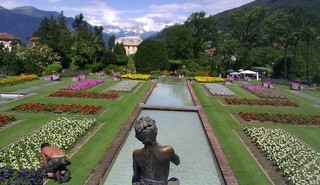 Garden-lovers will be spoilt for choice in Lombardy. 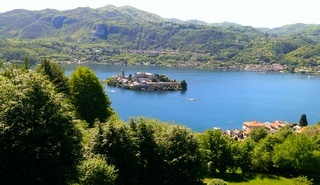 Our Italian Lakes tour includes visits to the gardens of Isola Bella and Villa Taranto but consider extending your stay to visit some of the gardens on Lake Como such as Villa Balbianello, Villa Carlotta and Villa Serbelloni, amongst others. The Bernina Express train is the scenic way to travel from Italy to the Swiss Alps. Hop on a train at Tirano in Lombardy’s Sondrio province and be prepared for some spectacular views as you travel round the famous Brusio Spiral Viaduct, past forested slopes, snow-capped mountains, the dramatic Morteratsch glacier and the Bernina Pass. Our Italian Lakes tour explores three of northern Italy’s lakes - Lake Como, Lake Maggiore and Lake Orta - transferring the group to Milan at the end of the trip. Milan has excellent travel connections with the Lakes, any of the towns in Lombardy and indeed anywhere else in Italy. If you wish to take a tour in a neighbouring region and then extend your holiday to discover more about Lombardy, we recommend our Jewels of Piedmont, our Best of the Italian Alps or our Austria and the Dolomites tours. There are two airports in Milan, at Malpensa and Linate. Malpensa is used by most European and all international flights. For more information about Lombardy, visit the Lombardy Tourist Board.